The Scheduling Office reserves many Venues (pdf) on Campus. 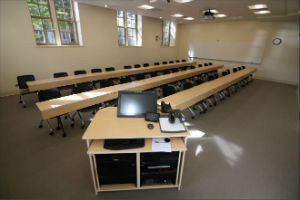 Academic classrooms are great space for weekly meetings, lectures and other gathering. You can reserve this type of space through a Tribe Responses Form. Classroom requests over two hours cannot use the Tribe Response Form and must use the Student Space Request Form. 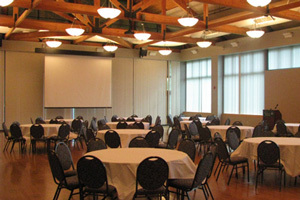 The Sadler Center and Campus Center provide great spaces for banquet, speakers, events and performances. 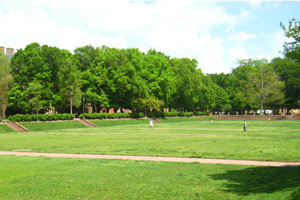 Outdoor spaces are best used for kick-ball tournaments, picnics, receptions and campus-wide events. 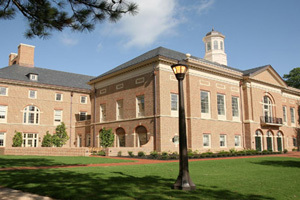 While the Sadler and Campus Center are two of the main buildings for events, many other buildings across campus have facilities, too! The School of Business and School of Education are just two examples for alternative space. A list of other spaces can be found below.